Jurgen Klopp stuck with his new-look midfield against Chelsea and it paid off, but there could be changes in tactics and personnel against Porto. 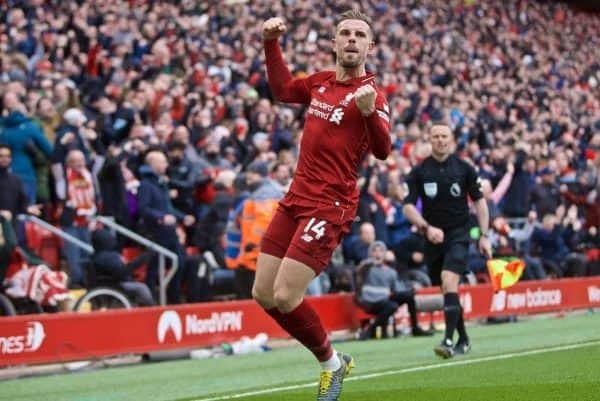 There was a lot of discussion around the Liverpool midfield (when isn’t there?) prior to this game, but Klopp retained the trio which has served him so well in recent weeks, and they didn’t let him down. The use of the same three players in the last two games means changes are almost certain to happen at Porto on Wednesday night, and it will be interesting to see if the shape remains the same. A 4-2-3-1 could allow changes up front to help ease the burden on Roberto Firmino, Mohamed Salah and Sadio Mane in this intense run-in. Fresh faces will also come into the midfield. 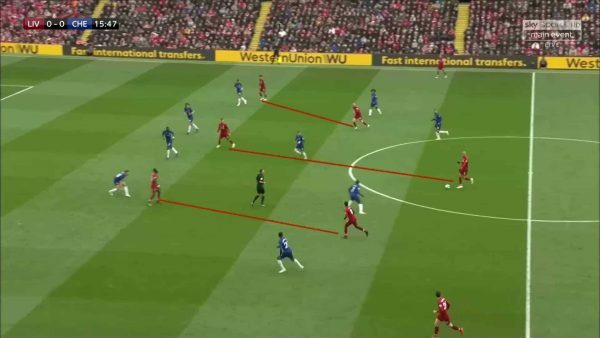 One noticeable thing about both Liverpool and Chelsea, who play a similar 4-3-3 shape, was the eagerness of the deepest midfielder to step up and press. Maurizio Sarri is also a manager who likes to press, though he is not quite as well known for it as Klopp, and both Jorginho and Fabinho weren’t scared to leave their position to push high up the pitch. It’s safe to say Fabinho coped better with the recovery aspect of this if the attacking team managed to work their way around this press, although despite his outstanding performance generally even he was bypassed on occasions. Klopp dared mention the wind in his post-match press conference, but this won’t be picked up on as much as it has in the past because Liverpool won, even though it did affect the game. The Liverpool boss referred to the elements while discussing the changes he made at half-time, after a first half which saw just one shot on target from each team, and suggested that the game would finish 0-0. 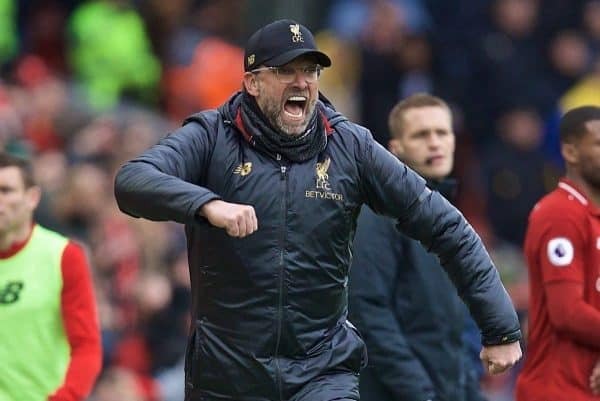 “We showed a few pictures and we spoke at half-time,” said Klopp, revealing that the mid-game analysis is visual and more than just a team talk. “I do it again, I speak about the wind. First half we played against the wind, second half we had it on our back and it’s a big plus. “You saw it second half with Chelsea struggled with the buildup, long buildup, when they want to do balls high, and coming down it’s just difficult. But having the wind at their backs wasn’t the only difference in the second half. In the first half there was an element of predictability about Liverpool’s play, but in the latter period they were much more fluid. “We needed to be a bit more flexible on the right flank, as in the first half we were a bit left-dominant,” added Klopp. “We had too many balls there, it was flexible and it was good. On the right side we had our moments as well, but were not as flexible as we wanted. Klopp went on to speak at length about his tactical changes at half-time and the impressive work of those players operating through the middle of the team. “It was about the right side, about positioning. We have three players on the right side; Trent Hendo, Mo, and they have to be flexible,” he explained. 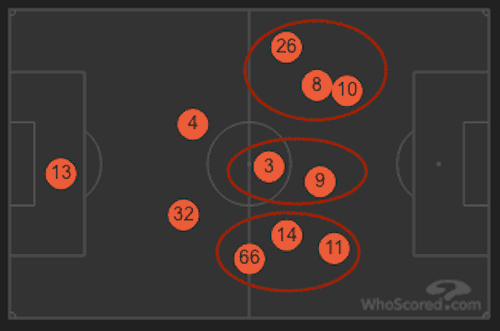 Liverpool’s average positions reflect Klopp’s words, and shows that they worked in groups up and down the pitch rather than separate defensive, midfield and attacking units. Trent, Henderson and Salah; Fabinho and Firmino; and Robertson, Keita and Salah. The formation from this positional data based on actions showed the familiar diamond, where Firmino is deeper than the two wide players. It is another example of the team’s work as a whole, where defenders are responsible for attacking, and attackers responsible for defending. 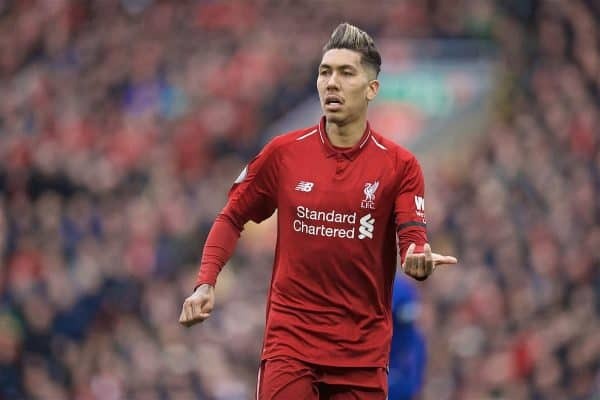 The manager then moved onto the spine of the team which included the central duo of Firmino and Fabinho, and the centre-back pairing of Virgil van Dijk and Joel Matip. “If we speak about the left and right flank, what Bobby, Fabinho, and the two centre-halves did against this centre of Chelsea—the two centre-halves of theirs, with Jorginho and Hazard—that was some of the best I ever saw in my life because it’s so difficult. “We expect that they bring Hazard into the nine position, but still it’s difficult to work on in training as there are not many players like Eden Hazard. 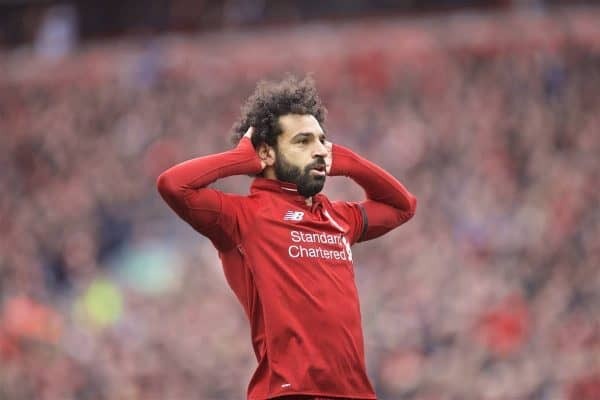 As well as scoring a wonder-goal and having a total of five shots, Salah also made more key passes than any other player on the pitch (four). Eden Hazard reinforced his position as one of the best dribblers in the world, winning a total on nine take-ons. 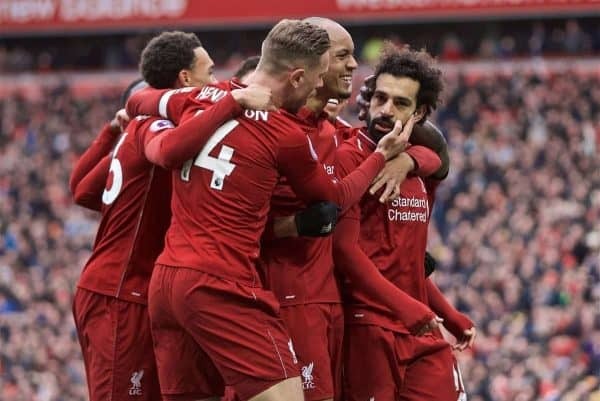 Salah was next in line with an impressive five.